via Robert Hastings • Articles — Citizen Hearing on Disclosure. A Kentucky witness at Falmouth filed an additional report after calling in paranormal investigators when more unknown objects were seen beginning about 9:30 p.m. on March 3, 2013, according to testimony from the Mutual UFO Network (MUFON) witness reporting database [extract from article]. 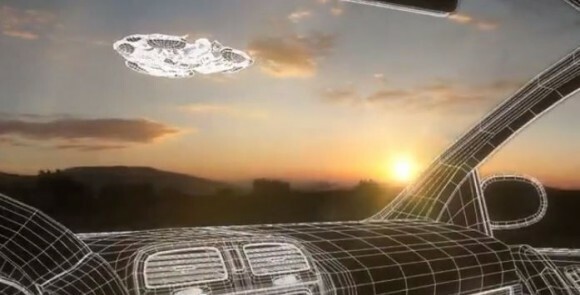 The video is 100 percent CGI through and through,” Tsirbas told Wired. “The electric towers [seen alongside the road] are 3-D geometry and the sky is a 3-D dome that has a texture map on it that’s a combination of painting, volumetric clouds and photogrammetry.” [extract from article]. Gert Jordaan, founder of UFO Research of SA, said that between February 21 and February 27 many people reported seeing bright orange lights and flames in the sky. He said that while some sightings could be attributed to meteor showers, others could have a more interesting explanation [extract from article]. The Alitalia pilot saw something mysterious hovering about 200 feet away as he made his final approach into JFK airport over Brooklyn on Monday. 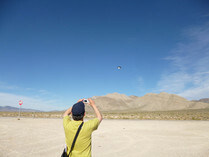 Sources told the New York Post that the ‘drone’ was black with helicopter rotors on its corners [extract from article]. 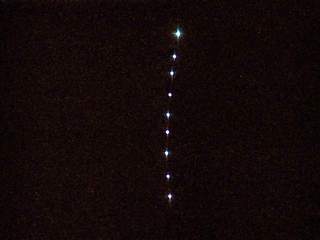 A timed exposure was used, so the mast light appears to fly across the screen like a UFO while the mast and mainstay become heavily blurred. One YouTube user has prepared a short video explaining in detail this effect [extract fom article]. Canadians report seeing nearly 1,000 unidentified flying objects each year, says the man who catalogs the sightings. Most can be explained, but some cannot, said Chris Rutkowski, a civilian science writer who has produced the Canadian UFO survey since 1989 [extract from short article]. Some readers have suggested it may not be a coincidence it was the same night – February 15 – that a meteor dramatically broke up in flames over the Russian city of Chelyabinsk, damaging buildings and injuring about 1,000 people. Commenting online about the Cross Roads sighting, a website visitor with the user name pjl20 said: “Was this a genuine meteor or just a random piece of ‘space junk’ burning up in the atmosphere on re-entry? [extract from article]. Tracking unidentified flying objects now seems to hold little interest for the Canadian government, according to documents obtained under the Access to Information Act. Various federal agencies, including Transport Canada, the RCMP and the Department of National Defence, used to track and investigate UFO sightings to some degree, but documents obtained by CBC News suggest those days are over. It’s now up to civilian volunteers to report what’s going on up in the sky [extract from article]. Knowing that the ‘video’ is actually just 3 long-exposure photos run together helps one make a determination of what the light could be. In the video’s middle frame, one sees a yellow light right below the red ‘UFO.’ now, with Crowe’s camera being set up right next to the harbor, it makes a lot more sense that Crowe caught a passing boat rather than an alien space ship [extract from article]. He stopped near Edrom to take four pictures with his digital SLR camera, but it wasn’t until he blew them up on his computer a week later that the blue object framed by the patch of light stood out. When he then read in ‘The Berwickshire News’ that strange sightings had been reported on the same night in the Coldstream and Duns area, he decided to share his pictures with our readers [extract from article]. 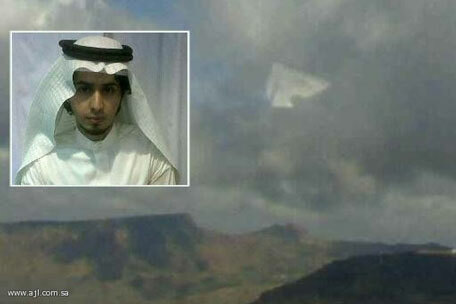 A Yemeni photographer captured what he believes was an unidentified flying object (UFO) over the mountains in northern Yemen and a picture he published showed a strange white triangular object streaming through the clouds [extract from article]. a look at the comments will show the answer…. [extract from short article]. Russell Crowe did NOT see an alien spaceship outside his Australia office recently … despite some pretty convincing footage he posted on the Internet … so says a rep for the biggest UFO-debunking agency on the planet [extract from article]. 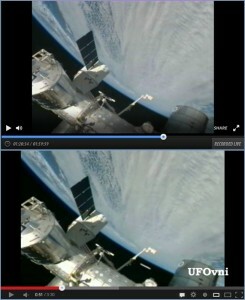 The video, posted to YouTube on March 9, is titled, Amazing GIANT UFO Near The International Space Station, March 2013 HD. It is alleged to have been videotaped from NASA’s live ISS video stream, and shows a large cylindrical object in the distance, near the earth, moving slightly slower than earth’s rotation. At first glance, it is exciting. However, as pointed out by Disclose.tvuser WillEase666, if you go look at the original video on the ISS Live Feed, the UFO is not there [extract from article]. The mass sighting happened March 13, 1997, and Kitei says she’s surprised there still has not been any definitive answer as to what was in the sky above Phoenix. “It is amazing to me it’s 16 years since the most historic and still unexplained mass UFO sighting in modern history, which took place right here in Arizona,” she said [extract from article]. Are they from a plane or from visitors out of this world, either way these strange vapour trails have had north east Lincolnshire puzzled [extract from short article]. 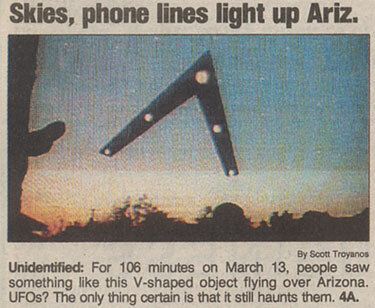 March 13, 2013 marked the sixteenth anniversary of the mass UFO sighting known as the Phoenix Lights that occurred across the state of Arizona in 1997 [extract from article]. The source said: “As we tend to have a lot of aircraft activity in this area i thought it was a low plane with its landing lights on.”I looked out half an hour later and the object was sat in exactly the same position.”I then alerted my partner. “We examined it through powerful binoculars. “It appeared to look a beacon shape, with the top half glowing green [extract from article]. I was driving my daughter to swim team practice one recent night when we saw something curious fly right over the road near the Amherst landfill on the outskirts of town. “That is one weird plane,” I said, referring to the cargo planes that we see all the time flying down to the Westover Air Reserve Base in Chicopee. This was much smaller though, and flew much lower, with most unsual lights. It made not a sound [extract from article]. Mike Welding, spokesman for Whidbey Island Naval Air Station, confirmed that two P-3 Orions — large four-engine turboprop submarine hunters — took off from the airbase Saturday evening but neither flew over South Whidbey. A Whidbey News-Times reporter also visited six different homes around the Johnsons’ house, but none of the neighbors reported seeing anything out of the ordinary that night [extract from article]. It has also been suggested the lights were reflections from squid boats bouncing off the clouds, but the Caldanas said this did not match what they saw. Squid boats use bright lights to attract the squid. Hokitika airport also confirmed today it was not aware of any night flights [extract from article]. East Coast residents were buzzing on social media sites and elsewhere Friday night after a brief but bright flash of light streaked across the early-evening sky —in what experts say was almost certainly a meteor coming down [extract from article]. NASA says that flash reports are consistent with meteor shower in East Coast. But some said there were UFO sightings reports too [extract from article]. The department said they contacted the UFO National Reporting Center in Spokane, Washington, which was recommended to them. The department said they were advised that similar sightings in Florida had been reported last week and could possibly be what is described as “sky lanterns” that are released during various celebrations. However, even these “sky lanterns” are usually not released in such large numbers as was reported in this incident, deputies said [extract from article]. First, the Hottel memo isn’t new. It was first released publicly in the late 1970s and had been posted on the FBI website for several years prior to the launch of the Vault. Second, the Hottel memo is dated nearly three years after the infamous events in Roswell in July 1947. There is no reason to believe the two are connected. 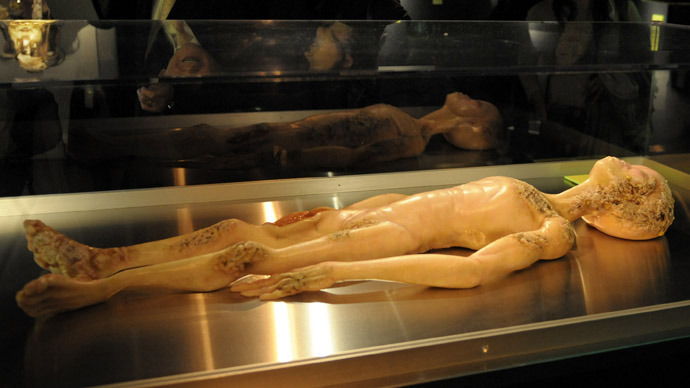 The FBI file on Roswell (another popular page) is posted elsewhere on the Vault. Third, as noted in an earlier story, the FBI has only occasionally been involved in investigating reports of UFOs and extraterrestrials. For a few years after the Roswell incident, Director Hoover did order his agents—at the request of the Air Force—to verify any UFO sightings. That practice ended in July 1950, four months after the Hottel memo, suggesting that our Washington Field Office didn’t think enough of that flying saucer story to look into it [extract from article]. While lanterns floated into the distance, authorities received a 911 call reporting the sighting. Authorities said a dispatcher received the call from a concerned citizen at 8:27 p.m. on Sunday. The citizen reported seeing “red fire balls in the sky” traveling in a south-west direction from the area of Daisetta in East Liberty County [extract from article]. 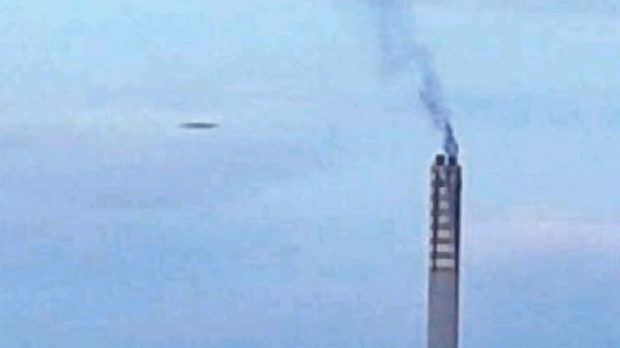 An unidentified flying object was caught on camera in Marsaxlokk and the image was posted on a website documenting such sightings. The photo, claimed to have been shot by a police officer with his mobile phone, was taken on March 19 at 6pm [extract from short article]. 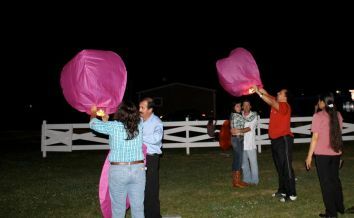 To honor the recent marriage of her son and daughter-in-law, Charles and Idaia Skufca, she and her guests had released 75 “wish lanterns” into the sky. The 3-foot-tall lanterns, purchased online, have fuel-treated cardboard attached underneath that when ignited causes them to expand and lift into the air. They float for a while and then are supposed to disintegrate. She contacted DeFoor and apologized for not notifying authorities about the release [extract from article]. He only noticed the UFO when he took a second look at the photograph he had taken earlier. “I did not see it at the time and have only just noticed it,” said Pete, who sent the photograph to Stroud Life in the hope that other readers might have seen the same object in the skies above the five valleys [extract from article]. 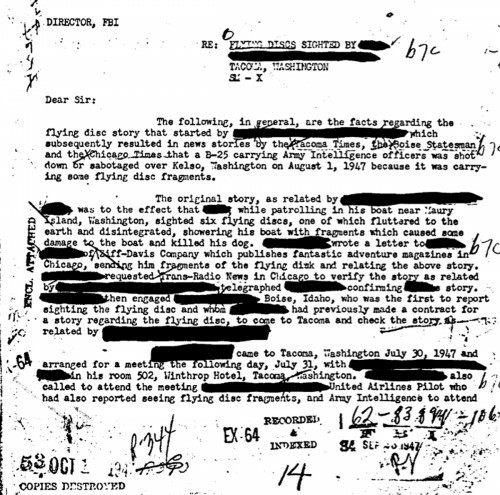 According to the FBI, the Hottel memo, written three years after a rumored 1947 UFO sighting in Roswell, New Mexico “does not prove the existence of UFOs; it is simply a second- or third-hand claim… Some people believe the memo repeats a hoax that was circulating at that time, but the Bureau’s files have no information to verify that theory.” [extract from article]. 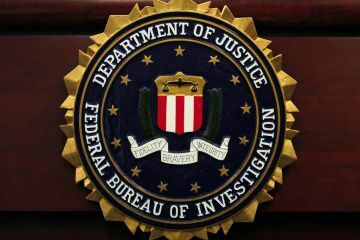 The memo had first been released under the Freedom of Information Act in the late 1970s, but was not available online until the FBI uploaded its public records in April 2011. Since being posted to the Internet two years ago, the document has generated more than two million views, making it the FBI’s most-viewed public record in history. The document’s publication has led to numerous media reports that labeled it as “proof” of alien existence. In 2011, the Daily Mail connected the FBI’s report to the 1947 Roswell UFO incident – an alleged extraterrestrial spacecraft crash that has been the subject of controversy for decades. But since the FBI’s memo was published three years after the Roswell incident, the agency wants the media to know that it is a separate incident and that it never solved the mystery [extract from article]. 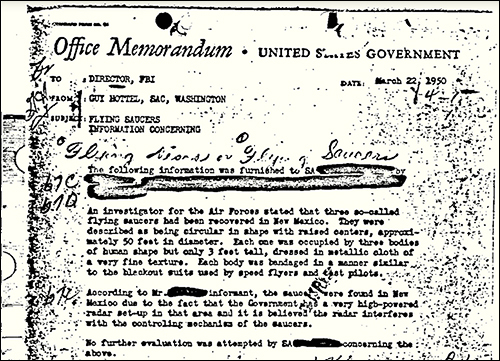 The FBI never conducted an investigation about a reported crash of several flying saucers in New Mexico detailed in a memo 63 years ago – which is now believed to have been an elaborate hoax. The memo from Guy Hottel, the special agent in charge of the Washington field office in 1950, was released publicly via the FBI’s website in April 2011. Of all the agency’s documents that have been made public on its website, the so-called ‘Hottel memo’ is by far the most popular, with nearly a million views [Extract from article]. Paul Dean, a UFO researcher in Australia, has been scouring the online digitized files of the National Archives of Australia for UFO reports, and he has found a few. His latest hit has been in the Australian Bureau of Meteorology. 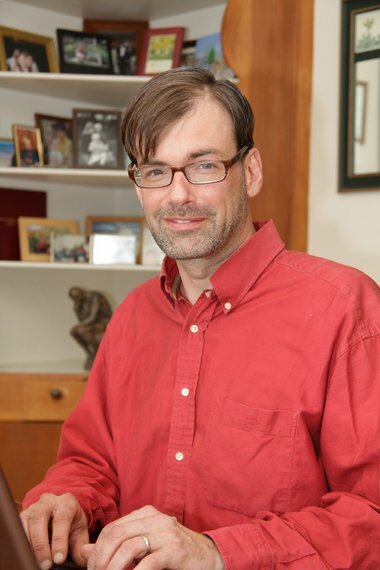 He has come across a file of scanned letters from 1972 to 1981 that contains UFO reports. I did my own quick search and found these results here . Interesting…. At about 1.15am on March 31, 1993, in what has been dubbed the Cosford Incident, there were dozens of sightings across western Britain of triangular shaped UFOs moving across the sky at speed. A late-night run to the store got a little strange for Jacob Buttram on Saturday when his wife spotted three orange lights in the sky. Upon closer inspection, Buttram said the lights weren’t from an airplane. They moved vertically across the sky, changing formation to a perfcect triangle. “This took about 10 minutes from the time we first spotted them,” he said [extract from article]. 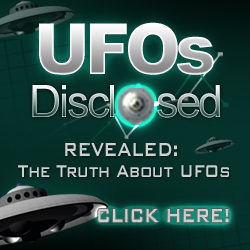 New site UFOsDisclosed.com pledges to help its members find definitive and legitimate proof to support the longstanding belief that “we are not alone.” Those interested in learning the “truth about UFOs and extraterrestrial life” have flocked to the site, and to date, membership is more than 2,000 strong and climbing in less than 30 days [extract from article]. According to the two witnesses, they just happened to be outside of their home at about 10:30 p.m. when the UFO appeared. “At first I was like what’s wrong with that star? I thought, whoa, that’s kind of trippy. So I went to get him and he’s like whoa! What is that? And it started moving,” Heather Scherffius shared [extract from article]. Fox, who previously directed Out of the Blue (2002) and I Know What I Saw (2009), will reveal the $100K challenge at the 22nd International UFO Congress (IUFOC), which begins Feb. 27, in Fountain Hills, Ariz.
“One of the aspects that sets our film apart is the producers’ commitment to bringing forth never-before-seen evidence. As part of this effort, we’re offering a $100,000 reward for the best proof that some UFOs are alien spacecraft,” Fox told The Huffington Post exclusively. “This material can be in the form of a photograph, video or film footage or debris from an alleged crash site. But it must be able to withstand scientific scrutiny by our chosen panel. “Our intent is not to create another television UFO documentary, but to produce a feature film for worldwide theatrical release — ‘The 701’ — the most compelling film ever produced on UFOs,” Fox said. [extract from article]. 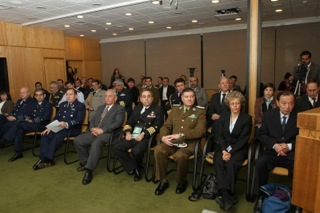 What is of additional interest to us was the military helicopter activity taking place afterwards. Are you aware that there was a Puma helicopter circling the area in question for some time during the morning of Thursday, February 14? [extract from article]. UFO sighting: Did you spot unidentified object flying over Grimsby? ( This is Grimsby) Short article. During the most recent sighting, the witness says two objects moved in slowly from the east moving west to southwest. “They appear as bright stars until you see them move,” the witness stated. “They have multi-colored lights that are red, blue, green, and white/yellow that blink randomly and last night I noticed they tip on side revealing a round, disc-shape bottom with a ring of green lights rotating around the object.” [extract from article]. 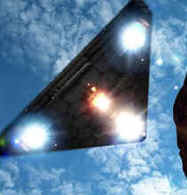 Light flash sparks web UFO rumours ( Ripley and Heanor News)*** (related articles to this,will have *** after headline). Heather Dixon of the British UFO research Organisation, which looks to find rational explanations to UFO sightings, confirmed that it was investigating reports of strange flashes in the skies above Derby at the end of January. The organisation has agreed to contact the News with its findings when they become available [extract from article]. 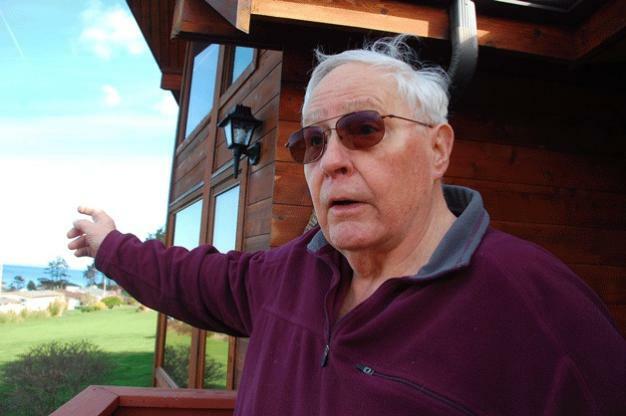 The man, who wishes to remain anonymous, reported that he, his wife and his daughter sighted an unidentified flying object from their home just before 8 p.m. Saturday. The family lives near the Fox River north of Yorkville. They said they saw two lights moving east northeast, with colors ranging from red, orange, yellow and pink. The lights “were together either one in front of the other or side by side and going at a pretty good clip and in the eastern sky,” he said. The man reported what he saw to the Mutual UFO Network, or MUFON, which included it on their website [extract from article]. For the second year in a row, I find myself at the International UFO Congress near Phoenix, Arizona. Last year I wrote a detailed five-part account of the conference. I told myself I wouldn’t write as much this year, but it looks like this resolution may be broken [extract from article]. Part 2 can be seen here . Part3 , Part 4 and Part 5 are also worth reading. ‘UFO sighting’ sparks Internet storm ( Eastwood and Kimberley Advertiser)*** Similar article as the one above. UFO orbs show up during Live news Report in San diego, California (DailyNewsEveryday [news8]posted to youtube december,but i think it happened last week) for video see below. Russia’s Air Defence: No UFOs in sight (Ria novostia) link is in German, extract is in English using google chrome translation. “ The troops of the Russian air and space defense forces have found, according to their chief of staff, Major General Andrei Dyomin, no UFO activity on the territory of Russia. “Regarding UFOs, we have not seen. Sometimes a rocket or a rocket stage which separates, held for a UFO. Especially in the north which is very visible at the start ” [extract from article-translated]. Politician tweeting UFO image ( newspoint.cc) translation below. “ Roberto Formigoni, Italian politician of Berlusconi’s party, Popolo della Liberta and President of the Lombardy Region thinks he may have spotted a UFO. ” Jim Paxie captured what he called “a most unusual cloud” but was surprised at the attention it gathered from extra-terrestrial enthusiasts in the United States.“I thought it looked more like a hamburger than a UFO,” he said ” [extract from article]. Was the recent Denver UFO report a media ratings straw man? 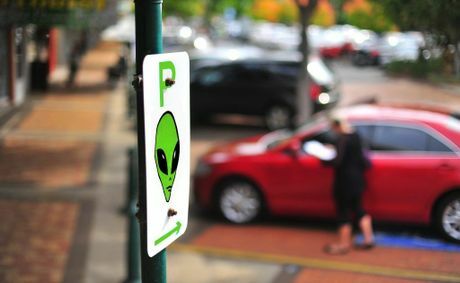 (examiner.com) ” Journalism that attempts to satisfy public demand for UFO information (while effectively undermining the credibility of such inquiries) appears in this instance to rely upon a straw man case that is apparently so very easy to dispel upon closer, local examination.By way of coincidence, the term “Strawman News Media” is reportedly recognized by writers of fiction as a trope or convention embraced within the minds of audience members ” [extract from article]. Remember those UFOs captured on video in Denver? news station rules out one possibility (theblaze.com) + videos included. ” “It seems to be a combination,” Bonner told the Huffington Post. “Yes, there are bugs, but there are some obvious birds in there, too. You can see wings flapping.”The group even experimented with a fly to show how certain filming conditions would make the bug look. They glued the fly to a piece of glass and took a picture of it 10 inches away in focus and then several times at 10 inches with the background in focus. They also photographed it from five feet away. These latter images showed similar blurs as to what was seen in KDVR’s videos. Read more about the Rocky Mountain Paranormal Research Society’s investigation here.Bonner told the Huffington Post they contacted KDVR with this information, but they didn’t seem to bite: …. ” [extract from article]. ” The witness first saw a single object. The witness saw two more similar objects within five minutes. Then a fourth object was seen. “Approximately two minutes later I saw a fourth triangular craft about quarter mile in size with lights on all corners and a light scanning the area turning sharply” ” [extract from article]. The story is that an unidentified flying object traveling at 2,000 miles per hour collided with a small plane heading south from El Paso. The flaming wreckage of both aircraft fell to the ground and started an investigation that continues today” [extract from article]. ” This year we are in for a special treat as the Moon will be absent when the Geminids are at their peak on the evening of the 12th/ 13th of December. This means that the sky should be at its darkest when the shower is expected, and many more of the fainter meteors may be seen. The Geminid meteor shower is expected to yield in excess of 50 meteors (shooting stars) per hour at peak for those with clear skies, the meteors it produces are usually bright with long persistent trains. If observing opportunities aren’t favorable or possible on the 12th/ 13th, meteor watchers can usually see high meteor activity a day or so either side of the peak” ” [extract from article]. 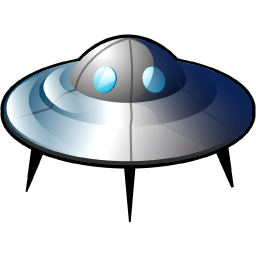 ” An object, believed by locals to be a UFO, has been spotted flying in the sky above Bulgaria’s Danube town of Lom on November 25th. The neon-shining ball then stopped above a house in the central part of the town and circled around its yard for three hours, Lom residents say, cited by bTV. Eyewitnesses further report the light was pulsating and the object changed its form. There have been interruptions in the electric power supply and in TV broadcasts at the same time, while people who were in the vicinity felt sick and suffered headaches ” [extract from article]. ” Pearson wrote on the website: ‘Whilst sitting in my lounge we have a good view southerly from our window a big bright light darted at high speed from east to west, defiantly (sic) not a plane, would have been seen over Tonbridge Kent UK ‘ ” [extract from short article]. ” A strange object variously described as a “ball of fire”, “shooting star” and “meteorite” was seen crossing low across the night sky by several people. Readers contacted timesofmalta.com and the police last night to report the “wonderful” and “beautiful” sight, estimated to have lasted about 15 seconds sometime around 9pm. The witnesses were in places ranging from Mellieħa to Fgura. 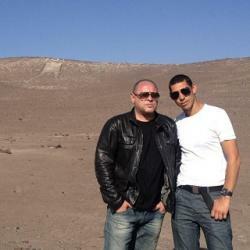 Christopher Azzopardi said he had seen a ball of fire flying overhead. It was “big and fast” but he was not sure whether it was a meteor ” [extract from article]. ” However, a Pukehangi Rd resident who only wanted to be known as David, said he thought he knew where the lights over Malfroy Rd originated. He said on November 1, his daughter held a remembrance service for her stillborn child who died last year. “It was just on dark, about 9pm, when they let about nine of those Chinese-type lantern things off into the sky ” [extract from article]. ” Weird Desk, which has been described as similar to The X-Files, was written by Stargate’s Carl Binder and The Librarian’s David Titcher and follows a clandestine unit tasked with solving real-life mysteries from this world and beyond. It will be exec produced by Mazza and Murphy ” [extract from short article]. ” Michigan Mutual UFO Network Chief Investigator Robert Nolan said sightings here have spiked since MLive-Flint Journal reported on the case of Denzel Washingtonin Flint Township. Washington told police he saw bright lights coming from a large object hovering over the Rave cinemas at Corunna Road and I-75 on Nov. 12 ” [extract from article]. ” The object in the video is hard to distinguish but easily visible as Holko and his girlfriend talk about what they are seeing, filming from outside and inside the apartment building where he lives. Holko, who grew up in the Grand Blanc area, said he had been told about a recent UFO sighting in the area of his apartment on Nov. 25 ” [extract from article]. “ It’s most likely an object from the Geminids meteor shower, a meteorologist speculated for KHOU. That celestial event has been recorded around this time every year since the 1860s, and although the best viewing is on Dec. 13 and 14, observers can usually see meteors as early as Dec. 6 in the Northern Hemisphere ” [extract from article]. ” So far, Holko and his girlfriend seem to be the only ones to have reported the unusual lights. But was this actually something that falls into the category of truly unexplained?HuffPost showed the video to photo and video analyst Marc Dantonio, who has examined many alleged UFO images.“At the conclusion of the video, I was able to affirm my suspicion and call this an aircraft on landing approach,” Dantonio told HuffPost in an email ” [extract from article]. ” Compelling new footage has been uploaded online, showing three UFO lights hovering over Prospect Heights, Brooklyn earlier this week. This may be just another false alarm, but the minute-and-a-half video deserves a quick look-see ” [extract from article]. “ The word hallucination only really became a pejorative at the end of the 18th or early 19th century. We still associate it with madness. But how those who hallucinate understand what they see also changes. We are more likely to see UFOs and aliens when people in earlier times would see angels ” [extract from article]. The slow-moving dots could be carrying the conquerors of the human race or even celestial fairies come at last to liberate our germ world, unleashing eons of fifth-dimensional bliss. Or they could be airplanes. The choice is yours! ” [extract from article]. ” Graham Jones was working on a site in Morningside, when he saw three balls of blue lights near Whangarei Airport about 3pm. The lights were in a cluster of three, and moved silently toward Mt Parihaka, near the Whangarei War Memorial, before vanishing after trailing across Kamo and disappearing toward Hikurangi. He said the crafts were about 30 to 40 feet wide and all he could see was a blue light across each. “I know it wasn’t an aircraft,” he said ” [extract from article]. ” A sudden boom in UFO sightings in America have raised fears of the 2012 apocalypse. Or perhaps it’s the other way around ” [extract from article]. ” The collection of strange round lights recorded by mesmerized witnesses show them flying in similar formation, most recently in San Francisco while just days after spotted in New York. ‘I wasn’t sure if at first if it was another Tequila hazed mirage, but myself and a few bystanders were all in complete awe at the lights we saw on Valencia,’ Sunday morning’s witness Enrique Barrios told Mission Mission of the California sighting ” [extract from article]. “ These mysterious, iridescent clouds are often mistaken for UFOs when they form high in the earth’s atmosphere, but this is not the sign of an alien invasion. The incredible technicoloured light show was created by nacreous cloud formations, sometimes known as mother-of-pearl clouds ” [extract from article]. “I caught a glimpse of a green light on the underside and my initial thought was I must be looking at the starboard light from a Hercules flying low on exercises as they frequently do in the Brecon Beacons, however there were no red port lights and then I noticed that there were another two green lights all at the other corners of what turned out to be a large black triangular shaped craft ” ” [extract from article]. 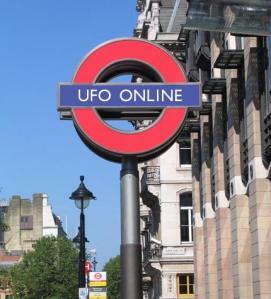 ” Going online, Pagan found a phone number for Peter Davenport of the National UFO Reporting Center. Davenport told Pagan he’d already received two other calls about the same anomaly. By the end of the night six calls about the same object had been reported ” [extract froma article]. ” Even in Japan the story is getting some traction, appearing on various blogs and forums. The reaction in Japan, however, is much better and filled with lulz. “They’re here!” jokes one commenter on 2ch, Japan’s largest bulletin board. “Then why isn’t the Japanese press covering this story,” asked one. “What the hell is the Japanese navy?” asked yet another. “They mean the Self Defense Force,” chimed in a commenter. In fact, when not laughing at the story, many online in Japan seemed more perturbed by the incorrect term “Japanese navy” being used instead of the correct “Japan Maritime Self-Defense Force” ” [extract from article]. ” The inquiry has investigated several reports of the appearance of Unidentified Flying Objects near the Indo-Chinese border, as per its remit. After exhaustive probes and for the reasons explained below, we have found no conclusive proof that these sightings were authentic ” [extract from article]. ” UFO sighting reports surface daily from around the world. You see photos, videos, and news, but no image has been so sharply defined that no one can argue about it. Take the two videos uploaded Tuesday – these are images from a mass UFO sighting in Mexico and a separate UFO sighting in Australia ” [extract from article]. ” Residents in several parts of Sri Lanka are counting their stars after being dazzled by lights emanating from unidentified objects flying in the sky. The Sri Lanka Air Force (SLAF) moved to allay fears that aliens from outer space were hovering in the country’s air space. SLAF media spokesperson Wing Commander Shiras Jalaldeen said that no unidentified airborne craft had been picked up on radar as yet, The Island reported ” [extract from article]. ” The unnamed officer, an acting sergeant with West Midlands police, saw a ‘light with a bluish tinge’ that ‘pulsed rhythmically’ and zoomed off. A colleague called air traffic control, but workers there said they had seen nothing. The officer later told his story to a UFO fan who posted it on the Haunted Skies website” [extract from article]. ” A team of scientists from Indian Space Research Organisation (Isro) will arrive in Leh to corroborate that the mysterious luminous objects seen on the horizon over a lake in the Ladakh region of Jammu and Kashmir are actually “Chinese lanterns”. Official sources said on Sunday that after getting the preliminary report that the luminous objects flying over the horizon of Pangong lake, located 160 km from Leh township, could be Chinese lanterns, the security agencies wanted an assessment of experts from another organisation for confirmation” [extract from article]. “ Experts have dismissed speculations regarding several sightings of Unidentified Flying Objects (UFOs) in several parts of the country insisting that they were simply natural phenomena. Residents in several parts of the island claim to have witnessed UFOs in the recent weeks. However, experts at the Arthur C. Clarke Institute for Modern Technologies clarified that it was merely the planet Jupiter and specks of a meteor shower” [extract from article]. I recieved an e-mail from Mark Marrington, and am more than happy to post it on this blog site. The single was released on november 14th 2012, and all the details about this can be found at the link below. Also more information about Mark can be found here . 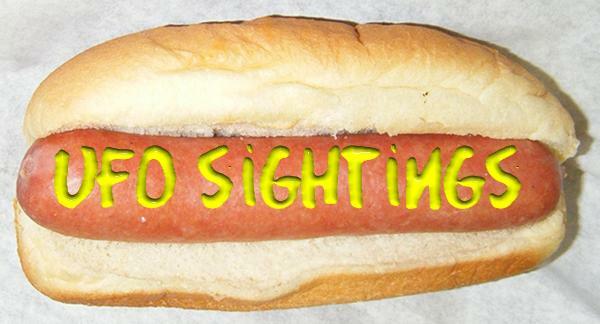 Many of the sightings reported are sensationalized, with usually alot of information missing. ” California was the leading high-reporting state in October with 83 cases, up from 69 cases filed in September and 75 in August. 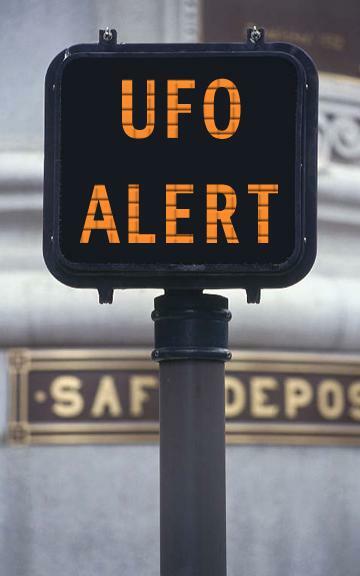 Those states in a UFO Alert 4 category with 13 or more reports include: New York, South Carolina, Illinois, Ohio, Indiana, and North Carolina. All other states move to a UFO Alert 5 category with lower numbers of UFO activity. The Watch States – with 10 or more cases – are Kentucky, Georgia, New Jersey and Virginia ” (extract from article). 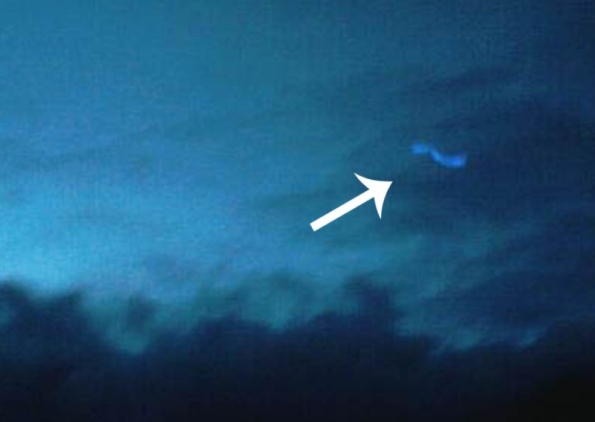 ” TENNESSEE – On October 16, 2012, an unidentified object was seen in the sky. The strange object was seen across Kentucky, Virginia and Tennessee………The airship, which is marketed as a ‘toy for all the family’, is 26 feet in length and flies solely by the power of the sun ” (extracts from article). “ An ITBP unit based in Thakung, close to the Pangong Tso Lake, reported over 100 sightings of luminous objects between August 1 and October 15 this year. In reports sent to their Delhi headquarters in September, and to the Prime Minister’s Office (PMO), they described sighting “Unidentified Luminous Objects”at day and by night. The yellowish spheres appear to lift off from the horizon on the Chinese side and slowly traverse the sky for three to five hours before disappearing. These were not unmanned aerial vehicles (UAVS), drones or even low earth-orbiting satellites, say Army officials who have studied the hazy photographs taken by ITBP “ ( extract from article). All articles reporting the same incident as above will have a ** symbol attached. ” Residents of Levelland, Texas reported sightings of unidentified flying objects with bright lights ” (extract from short article). ” During a 28-year military career that included posts with Strategic Air Command and Space Command, he earned the Legion of Merit, the Meritorious Service Medal with two Oak Leaf Clusters and the Joint Service Commendation Medal. What it didn’t include, not surprisingly, was Meiwald’s eyewitness to a controversial nuclear-missile shutdown at Malmstrom Air Force Base in March 1967 ” [Extract from article]. ” Some people gathered in parking lots, looking to sky for answers. The lights were thousands of feet in the air and did not move or sway. It turns out that a neighbor named Todd had spent $300 on balloons, helium and lights. He had the entire contraption on fishing line. The lights were more than 4,000 feet in the air ” (extract from article). 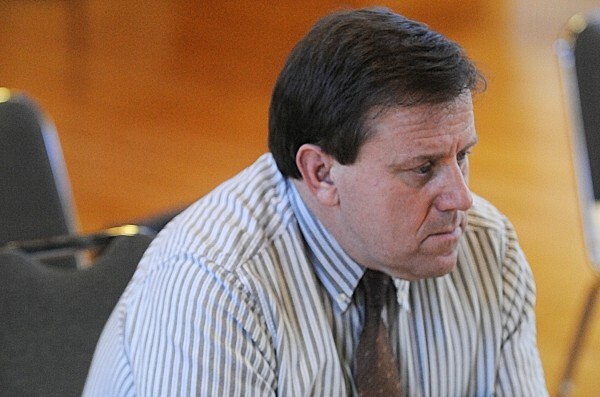 ” BANGOR, Maine — A city official driving home with his daughter Thursday night saw strange orange-colored balls of light in the night sky over Waterville and called the Bangor Daily News to find out what it was. Shawn Yardley, director of the city’s Department of Health and Community Services, described what the two saw as “bright orange dots at cloud level.” [Extract from article]. 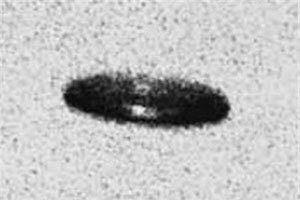 UFO enthusiasts admit the truth may not be out there after all ( The Telegraph ) All articles reporting the same incident as above will have a ^^ symbol attached. 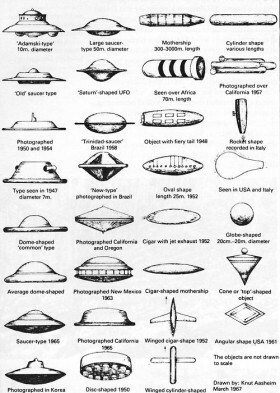 “ Enthusiasts admit that a continued failure to provide proof and a decline in the number of “flying saucer” sightings suggests that aliens do not exist after all and could mean the end of “Ufology” – the study of UFOs – within the next decade ” [Extract from article]. Not a sighting but i thought worth adding. Do you believe this? is it dying or just changing? ” Is UFOlogy dead or alive? I predict ASSAP may be posing the same question in 2022 but as far I’m concerned the subject remains interesting as an example of living myth. The question ‘do aliens exist’ is actually nothing to do with ‘do UFOs exist’. Of course UFOs exist, in that people see unidentified things in the sky ” [extract from article]. 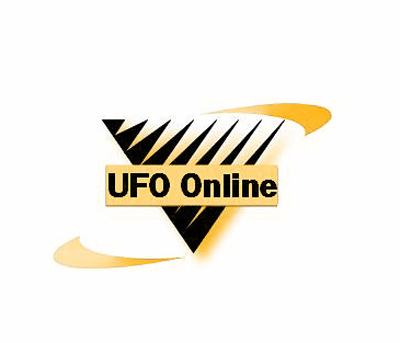 ” The organisation is concerned that the debate has been polarised between those who firmly believe UFOs are extra terrestrials and fear that there is a cover-up over their presence and those who have declared the “death of the UFO [….] But to me it seems a shame that the UFO hunters may be giving up at a time when we are closer than ever to finding life in other worlds. Rather than hearing cries from distant aliens, radio telescopes found equally incredible messages from beaming pulsars and the faint echoes of the big bang itself ” [ extracts from article]. The actual article from ASSAP can be found here . UFO sighting in Ladakh by Indian Army ** (Truth dive). ” In September, the Indian Astronomical Observatory astronomers watched the UFO sightings and said that the objects spotted were “non-celestial” and ruled out meteors and planets. Sunil Dhar, a geologist said, “The region which is snowbound in the winter has some roads and this is one of most isolated regions in India.” Scientists believe the mysterious luminous objects are not necessarily from the outer space ” Extract from article). ” They said Army had also moved a mobile ground-based radar unit and a spectrum analyser to verify the identity of the object but could not detect the object that was being tracked visually, indicating it was non-metallic. Army officials expressed concern over the inability of agencies to identify the object which some believed could be a Chinese surveillance equipment ” [ extract from article]. He added that “classic cases” of UFO phenomena, such as the 1947 Roswell incident and the 1980 Rendlesham Forest (Suffolk) incident, are “only classic cases because they were not investigated properly at the time ” ” [Extract from article]. ” “The Maury Island Incident,” will be a film based on the true story of a man’s UFO sighting claim near Maury Island on June 21, 1947. This often-overlooked incident happened just two days before Ken Arnold’s Mount Rainier sighting, which spawned the phrase “flying saucers,” and 16 days before the infamous Roswell crash. It also included what is considered by many experts to be the first “Men in Black” encounter as well ” [extract from article]. ” Next up were the astronomers, who investigated the objects for three days before concluding they were “non celestial”, and still unidentifiable. The best explanation proffered has to be from the country’s intelligence officials, who reportedly believe it could be a “crude psychological operation by China”, or, somewhat less inspiringly, probes ” [extract from article]. UFO encounter? – ( Sunrise – yahoo 7 tv ) video from Australia [ length 3mins 31secs] Not sure of the dates to this though? also from Sunrise UFO spotting in Queensland . Not sure of the dates to this though? ” The way this article was picked up and taken at face value by a number of skeptics is, to me, rather troubling. To be a skeptic means to evaluate claims skeptically, not just to adhere to a certain “party line.” When confronted by an article that seems “too good to be true,” the skeptic should not just take it as confirmation of what he or she has long believed. Instead, the skeptic should ask a question like, “Who in the hell is this guy Dave Wood, and why should we accept his claim about UFOlogists having second thoughts?” ” [ extract from the article]. ” …footage of unknown lights flying across the night sky above Phoenix in Arizona was recorded on Friday, 2nd November 2012 ” [extract from short blog post]. Also same story at ESPN New York , giving same quote from jacksonsun.com from GQ. ” Figures just released after a Freedom of Information request reveal 40 suspected UFO sightings reported to Kent Police over the last six years.And Medway is the epicentre of all things paranormal – it has seen eight reported instances in that perioed, including three in just one evening in Rochester. Sightings range from circling lights to a silver globe floating 50ft up in the air – one man in Chatham even reported that he thought a UFO was following him ” [extract from article]. “ “Robert Taylor seemed to be an honest man who had little to gain and much to lose by coming forward with this story. 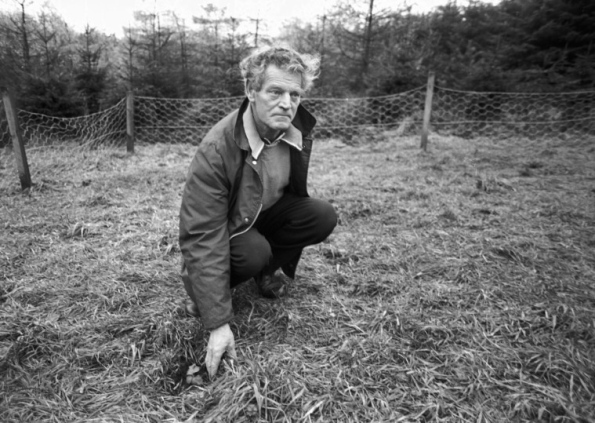 MoD should have used metal detectors and a Geiger counter at the site of the encounter, but it was difficult, once the police got involved, as word would have got out and it was always MoD policy to downplay the extent of our interest.“There’s not much middle ground with this case: either some practical joke got out of hand, or Robert Taylor genuinely encountered something bizarre.”• UFOs: The Untold Story is on National Geographic on Tuesday, November 20, at 8pm ” [ Extract from article]. 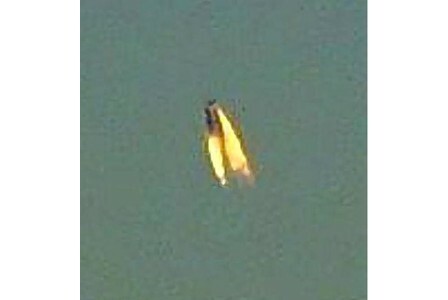 Unidentified flying object seen over Azerbaijan’s Goychay ( News.Az ). ” First the globular object shined very high, after going down it moved from east to west and rose again. Shining bright beam, the object could be observed within 2 minutes, after which it disappeared ” [ extract from article]. ” Roy Mars was peeing in his compost last weekend — it adds nitrogen — when he looked up and saw something streak across the sky.“It looked like a shooting star,” the custom furniture maker said. But he’s seen those before, he said, and it wasn’t one.“It was a streak of light that started going over my head,” he said.As he turned his head and arched his back, it seemed to slow down and went from a streak to a perfect three-pointed triangle. Then it disappeared over the tree line” [extract from article]. Denver UFOs Mystify Local Media and Aviation expert Steve Cowell(Huffington Post) includes video. ” To try and verify the legitimacy of the video, the TV station’s photojournalist, Noah Skinner, brought his own equipment out to the same location from where the UFOs were first captured on camera. Hemmat says Skinner shot video between noon and 1 p.m.When his video was slowed down, it revealed an unidentified object flying in the sky.KDVR then turned to Steve Cowell, a former commercial pilot and FAA accident prevention counselor, to see if he could make any sense out of the mysterious flying objects on the videos.“I can’t identify it,” Cowell told KDVR. “That is not an airplane, that is not a helicopter, those are not birds”” [ Extract from article]. 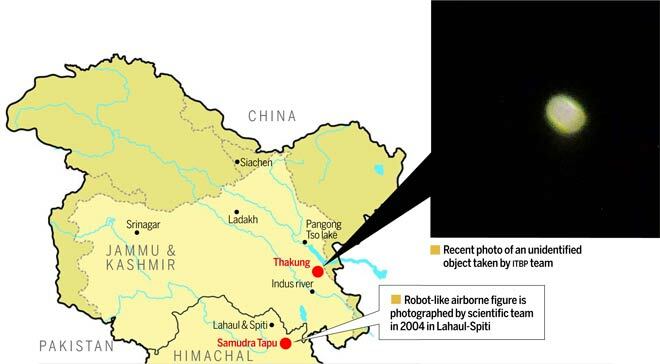 Mystery over UFOs on Indo-China border cracked ** ( Kashmir Times ). ” The mystery over the unidentified light objects dubbed by some as Unidentified Flying Objects (UFO) in the horizon over Pangong lake in Ladakh region of Jammu and Kashmir close to Line of Control (LoC) with China appears to have been solved with Indian security establishments believing them to be Chinese lanterns. An American newspaper has reported a few days that light objects were believed to be UFOs and were bothering the Indian security agencies on the border with China. It said that the para-military forces guarding the border with China had written to the central government about sighting of some Orange-Yellow luminous flying objects on the horizon over Pangong lake, located 160 km from Leh township” [ extract from article]. ” Texans have reported 6 separate UFO sightings from all corners of the state in the last week ” [extract from article]. ” Anyway, here’s something that’s probably for-sure true. After Nov. 30, the UFOs will all disappear. And they won’t be seen again until the next ratings season in February. Fortunately, newspapers will technically still be around to fill us in on the new adventures of Roy Mars whenever they occur ” [Extract from article]. 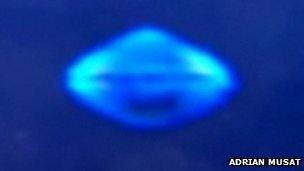 The X-mas Files – festive ufo caught on camera (scotsman.com ). This sighting is also covered by The courier.co.uk with a video; The link can be found here . 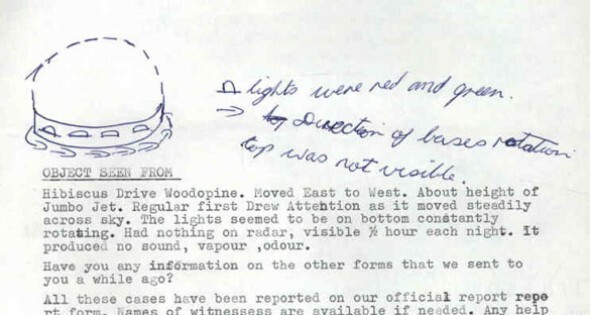 ” He sent the footage to the British UFO Research Association (BUFORA) for analysis.The experts said the object was not alien in origin, but actually a spotlight on a forestry vehicle.BUFORA said they were confident the light was actually within the trees and not above them” [Extract from article].15thTwo new reports on the Chilean “UFO” videos produce conflicting results( Huffington Post) ” It is both intriguing and puzzling that the two scientists disagreed about the most crucial question in this case: Did the same unidentified aerial phenomenon, or UAP, appear on two separate cameras? If the exact same UAP was filmed by the two cameras 20 to 30 feet apart simultaneously, then we would know the object was large, distant and not a bug. Haines concluded that the two cameras captured the same UAP in one sequence, while Maccabee concluded they did not” [Extract from article].Flint township UFO report: Do you believe there is intelligent life in outerspace? ( mlive.com). “ Denzel Washington, 19, told police he saw something like a spaceship — as long as five cars and as wide as two vehicles in a holding pattern in the sky above Rave theaters on Corunna Road ” [Extract from article] . 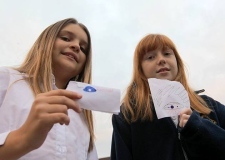 ” The strange object was seen by 10-year-olds Hermione Chamberlain and Courtney Holt last Thursday as they made their way back from the park along Skegness Road in Stevenage at around 5pm. Hermione said: “We weren’t scared. We were a bit shocked. We thought it was a UFO. It was moving a little bit and it was high up in the sky. We watched it for about a minute and then we went inside ” [extract from article]. I will try and keep this up to date, with all information from the UK. Please check back from time to time, as this will be updated regularly…If you see something that i have missed, please contact me (thanks)….. There has been an explosion of UK UFO activity this year, mainly due to the Sun (tabloid UK newspaper) who think they are the UFO EXPERTS, seeming to print anything remotely to do with UFOs (with no facts/sensationalism and mostly no TRUTH). Unfortunately, this now seems to be spreading to other National newspapers. This month it seems to be The Telegraph’s turn at Ufology wisdom. 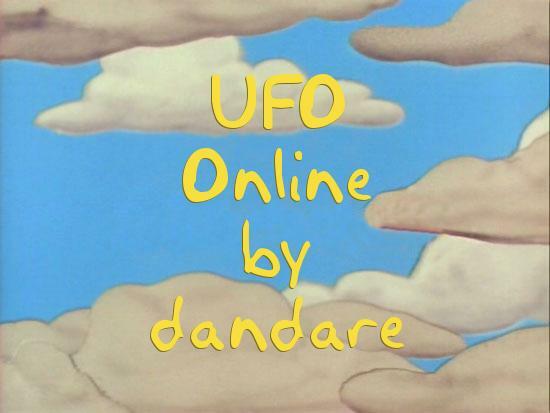 Are they eventually going to make UFOLOGY a complete joke? So, many of the sightings reported are sensationalized, with usually alot of information missing. Some incidents could be UFO balloons (please see: https://dandare.wordpress.com/2007/05/19/ufo-balloons-what-are-they/ for more details, from a previous article). There are also many other IFOs ( Identified Flying Objects they could be as well). ” A freak of nature or the work of aliens, crop circles are making a comeback. DAVID MILLS looks at where the Martians could land next. THE aliens have been quiet lately. It has been almost two years since the last crop circle was spotted in Kent and nearly four years since The Meopham Circles appeared ” (extract from article). ” SCORES of readers have contacted The Journal following a story we ran this week on strange lights being spotted over Rhyl ” (extract from article). ” A mystery UFO that was spotted in the skies over Burnham-On-Sea was probably a floating Chinese lantern, according to our readers ” (extract from article). ” A MYSTERY has been sparked by the sighting of strange objects flying over Stamford. Janet Garratt and her friend Margaret Fox saw two oval-shaped objects falling above Lonsdale Road before stopping mid-air and then zooming off into the distance ” (extract from article). ” Suspicious bright lights dotting the night sky above Bridlington and Flamborough throughout May drew curious members of the public to contact the Free Press in an attempt to get to the bottom of the strange events ” (extract from article). ” This week Hazel Shelston, 73, from Fraser Road, quashed claims the silver diamond-shaped disk was a visiting UFO, saying the mystery shapes were nothing more than Chinese lanterns ” (extract from article). ” People rushed out of their tents to stand and watch in awe as the lights darted back and forth. They weaved in and out of one another and appeared to fade and then light up again as they soared through a clear sky. Camper Paul Haigh, 28, of Darlington, said: “Most people had turned in for the night but we were woken by a commotion ” (extract from article). ” The weekend’s display is the latest in a string of sightings across the UK of unidentified flying lights. This month alone, unexplained illuminations have been spotted in Lincolnshire, Merseyside and Cambridgeshire ” (extract from article). ” The mysterious ‘orange orbs’ spotted in Sutton skies may have a reasonable explanation according to an UFO expert. Birmingham UFO Group investigator Dave Hodrien said he believes most of the sightings are in fact Chinese lanterns ” (extract from article). ” Mercury readers have reported seeing about 30 orange or white UFOs above the town between 10.30-11pm. Eyewitnesses have reported seeing the glowing orbs from Worle and Milton Road, before they disappeared into thin air ” (extract from article). ” A Wigan man who wishes to remain anonymous has emailed wigantoday after spotting a UFO over Standish. The brief email, sent yesterday, reads: Can you please let me know if anybody else has reported to you three strange objects over the Standish area on Saturday, June 13, at 10.25pm ” (Full article here). ” AN UNEXPLAINED glowing orb has been spotted by a Ruislip family. Loraine Wiley of Beechwood Avenue, Ruislip, has sent photos into the Uxbridge Gazette of what can only be described as a floating light in the sky ” (extract from article). ” Steve McDonnell was on his way home to Seascale from Sellafield when he saw two orange objects flying less than 100 metres from his home. Rushing to his house, he photographed the lights which he described as “effervesce with no obvious solid edges ’’ ” (extract from article). ” Reports of strange lights in the English Channel last night have been put down to a meteor shower, coastguards said today ” (extract from article). “ COULD this mysterious Lincolnshire triangle mark out a hotbed of UFO activity in the region? The triangle shape is visible on the Google map on our website pinpointing several of the sightings in the area reported to us ” (extract from article). “ Jackie, 29, said: “It was travelling at the speed of an aeroplane but it was bigger and orange. Sometimes the planes at night have flashing lights on but this was constant. “The something else dropped from underneath the plane. “Afterwards me and my partner just sat there thinking of what it could have been. The only thing we could think was that it was a plane that came apart and crashed ” (extract from article). ” Tuesday 2pm – ARE WE delusional and too fond of a drink? Or is it just Lincolnshire folk being fascinated by the weird and wonderful? ” (extract from article). ” But far from being visitations by life forms from a distant galaxy, staff at a Barnstaple toy shop think the answer can be found a little closer to home ” (extract from article). “ Leanne Price got in touch after a mysterious glowing orb appeared in one of her holiday snaps. She was at Stansted Airport on her way back from a trip to Majorca when the ghostly photo was taken ” (extract from article). ” UFO enthusiast Colin Fowler, 56, of Ellis Lane, Frodsham, was watching a film at home when his family saw a cigar-shaped orange light hovering in the sky at about 10pm on Saturday, June 6. University of Manchester building manager Colin said: “It was a cigar shaped thing with sparks or flames coming out of it. “I don’t know what it was? It wasn’t a lantern, a helicopter or a plane. It was nothing like that, it was a ball of light, hovering in the air over the marshes, towards Ellesmere Port. It lasted a few minutes ” (extract from article). ” CLOSE encounters of the strange kind occurred in the night sky over Comet country causing neighbours and friends to look up in wonder ” (extract from article). ” Harrow Observer reader Mark Lawes snapped this shot of the mysterious aircraft on Tuesday just after 7pm ” (extract from article). “ A mysterious cylindrical object has been spotted in the skies above the Black Country. Retired teacher Mike Tunnicliffe was left scratching his head after seeing the UFO from his Walsall garden yesterday afternoon ” (extract from article). ” Andy said he had been in his back garden with his dog at about 10.45pm, when he saw two strange objects in the sky over Howlands. “They were above the clouds, swinging left to right,” he said. He added: “I was gobsmacked as to what it could be ” (extract from article). Just some of the Speakers present- George Noory, Edgar Mitchell, Col John Alexander, Graham Hancock, Colin Andrews, Richard Dolan, Milton Torres and Nick Pope. 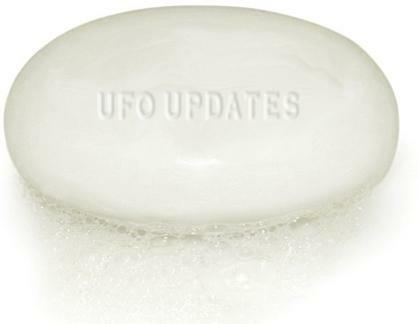 Does this help Ufology? are these people credible? do you believe in them? and yes Nick Pope is one of the speakers! ” Mitchell, who was part of the 1971 Apollo 14 moon mission, asserted Monday that extraterrestrial life exists, and that the truth is being concealed by the U.S. and other governments. He delivered his remarks during an appearance at the National Press Club following the conclusion of the fifth annual X-Conference, a meeting of UFO activists and researchers studying the possibility of alien life forms ” (extract from article). ” Mitchell’s belief in the existence of aliens is well documented. In an interview with the Times in 1998, he said he is “90% sure that many of the thousands of unidentified flying objects, or UFOs, recorded since the 1940s, belong to visitors from other planets “ ” (extract from article). There has been an explosion of UK UFO activity this year, mainly due to the Sun (tabloid UK newspaper) who think they are the UFO EXPERTS, seeming to print anything remotely to do with UFOs (with no facts/sensationalism and mostly no TRUTH). Unfortunately, this now seems to be spreading to other National newspapers. “ At today’s rally, McKinnon’s mother, Janis Sharp, and six other demonstrators performed a rewritten version of “Chicago,” a protest song recorded nearly 40 years ago by Graham Nash of Crosby, Stills, Nash and Young fame. Nash granted Sharp permission to modify the song’s lyrics to focus on her son’s legal plight as well as his autism ” (extract from article). “ DON’T accuse him of being all crazee now – but rocker Noddy Holder of Slade says he felt the noize when he had a close encounter with a UFO in Bournemouth. The colourful star, most famous for the ubiquitous festive hit Merry Xmas Everybody, said he saw a circular flying saucer, emitting beams of light, flying over the sea while staying in the town ” (extract from article). “ SATELLITES and space stations have both been offered as explanations for strange lights seen in the sky over North East Lincolnshire. As reported, two people independently contacted the Grimsby Telegraph about the odd occurrences which they saw in the Laceby area ” (extract from article). 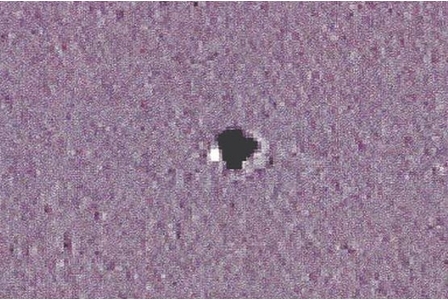 ” The computer engineer was able to take one shot of the object whilst it was stationary for a few seconds. He said: “Then it moved rapidly up and above at incredible speed, a comparable speed to a fighter jet at full power, so fast that panning the camera in the direction was impossible ” ” (extract from article). Nick Pope mentions that the increase in UK sightings is partly to do with chinese lanterns becoming more popular in this country; true. ” Mr Pope, who continues his research into the phenomena of UFOs on a private basis, said he believed the revitalisation of the Doctor Who franchise had made people more open to seeing UFOs ” (extract from article). He then states that it is being covered on Newsnight (bbc2 indepth show on the news) and the SUN (which he works at). First off, i do believe that chinese lanterns have had a large impact on UFO sightings, but Doctor Who has not….this is total rubbish. “ “One case that springs to mind is the recent incident at RAF St Athan when a police helicopter was apparently nearly hit by a UFO. “Another near collision happened last year over Birmingham when the pilot had to take evasive action to avoid hitting a UFO. “This is why their investigation is important” ” (extract from article). I’m afraid again i have to question these sightings, that THE SUN took a particular interest in. Where are the facts, and the data for this……..They usually never seem to follow up with any more evidence, but just carry on saying its a definate UFO sighting…..or they have selective data of a sentational kind if they do follow up! ” As they were chatting, Trevor looked up and saw five orange orbs all moving in a perfect ‘W’ formulation. “There was no explanation for it,’’ he said. “The lights were about 400-500ft in the sky, evenly spaced and there wasn’t any noise.’’ He said there wasn’t any wind and the lights were moving at speed, which could eliminate Chinese lanterns as an explanation ” (extract from article). Shropshire Star ” Birthday boy colin scotches UFO tales ” + video. “ He insisted the weird orange light reported by several people on March 10 had in fact been a Chinese sky lantern launched to celebrate his 60th birthday ” (extract from article). ” But Marjorie McCabe, who organised a 65th birthday party for her husband Terence at their Westhoughton home has shone light on the mystery. She was planning to round off celebrations at the party with fireworks, but after searching the internet decided to mark the occasion with Chinese paper sky lanterns instead ” (extract from article). ” One told the Chronicle: “It seemed to be a sphere containing glowing flame, orange or yellow like a sun. “But it wasn’t a meteor or comet, it wasn’t travelling fast enough and had no tail ” (extract from article). ” “It was rotating on its own axis and just staying there. It was metallic silver in its appearance and looked like nothing I have ever seen. “Everyone in the car saw it straight away and I am sure lots of other people would have seen it as well ” (extract from article). ” For 20 years Leonard Gibney has remained silent about coming face to face with what he believes was a UFO in an Ipswich wood. But today he has plucked up the courage to come forward following a string of unusual sightings reported in The Evening Star ” (extract from article). ” The MoD’s former UFO expert Nick Pope said: “Doctor Who and Torchwood are filmed in Cardiff, so everyone in the area has aliens on their mind. “Doctor Who captures people’s imaginations and makes them wonder about alien life and look to the skies. “Any strange light in the sky becomes a spaceship ” (extract from article). “ STRANGE lights in the sky were spotted hovering above Dickens Heath on Saturday evening. A group of friends, enjoying a supper party, spotted the mysterious spheres at 9.15pm. No less than four, yellow objects flew over the village before dissolving into thin air ” (extract from article). ” Information released by the Ministry of Defence shows there have been 56 recorded sightings of UFOs over the county in the last decade, with 10 last year alone. Examples include a report of a huge disc-shaped object “approximately 20 times the size of an aeroplane” that was spotted flying above Rainham, and a bright orange upside-down light bulb shape hovering near Ashford ” (extract from article). Old news here. ” Sky-watchers in Bradford, Bingley and Keighley have contacted the Telegraph & Argus with reports of up to five red or orange orbs hovering silently in the night sky before quickly disappearing. Denise Wilson, 52, saw them circling above her home in Moorside, Daisy Hill, Bradford, when she took her dog for a night-time stroll ” (extract from article). ” At the end of last year the Evening Express revealed how a spate of readers came forward after spotting suspected UFOs – ball of light moving strangely in the sky. Now Aberdeen-based expert Ian Taylor, who has studied UFOs for more than 50 years, claims there has been another sighting in Aberdeen ” (extract from article). ” Chris Johnson-Standley’s latest project is based on the myths he encountered in Helmshore and the surrounding area during his school years. These include everything from haunted submerged villages under Grane’s reservoirs, UFOs flying over and a First World War tank buried beneath a Haslingden park ” (extract from article). ” Nick Pope, former head of the government’s UFO research project, has leant his views on crop circles, alien abductions and other happenings to numerous television documentaries, books and lectures. He will join four other speakers at the Into the Unknown event ” (extract from article). ” David Gilmour singer and guitarist for the iconic, english rock band Pink Floyd, has already recorded a song for an upcoming CD that’s now being put together to support Gary McKinnon, 43, according to Janis Sharp, McKinnon’s mother ” (extract from article). “ Penny Martin (52), of Little Earnock, spotted an unusual object in the sky on Saturday night about 10.15pm. Penny described an orange-yellow object floating motionless above the houses near her home. She said: “It was shaped rather like a balloon and in the centre there was a flickering light rather like a candle effect. To begin with I thought it was just a balloon ” (extract from article). ” “We were surprised at how high they flew and how far they drifted. Brig o’ Doon Hotel has confirmed that sky lanterns were released as part of a celebration at the hotel on the Saturday night when our readers spotted orange lights in the sky ” (extract from article). 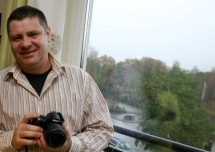 ” Luke Robinson was one of a group of eight who stayed in the Marsden Park area. He said: “At about 1- 46 a.m. I noticed a bright yellow light in the sky across the field, like the sun was rising but obviously it wasn’t, at that early hour, though it was as bright ” (extract from article). ” Recently released Ministry of Defence documents have rubbished many of the UFO sightings attributed to our parish in the late 70s and early 80s ” (extract from article). News & Star ” Is this a UFO over Carlisle? ” + link to video. ” One said it moved in a straight line before suddenly changing direction. It was then spotted about five minutes later and did exactly the same before disappearing at speed ” (extract from short article). ” Robert Rosamond, chairman of the British UFO Research Organisation, said photographic evidence needed to be examined to establish whether there was a misidentification. At this stage, he said, the lights could be anything from a balloon to a “tangerine being thrown in the air” ” (extract from article). ” One woman spotted what she called a “huge ball of white light” heading towards the ground in Broseley Wood yesterday at about 11pm. And Louise Butcher saw a light about the size of “a cluster of stars” moving across the sky over Church Stretton at the beginning of April ” (extract from article). ” We made an appeal for information last week after John Shellis, of Birmingham Road, Blakedown, said he saw a light that looked like “a large ball” moving “quite low in the sky” at about 12.30am on Sunday, April 12 ” (extract from article). “ On Tuesday night a UFO was seen blazing over Salford Precinct at around 10pm. Eye witness, Rachel, has described it as “a bright orange light, like a fire ball moving at a steady space. It was really weird” ” (extract from short article). ” In the sky looking over towards the A16 we saw three very bright lamps in the very clear sky, they were in an equally spaced formation. As we watched a Euro-fighter came from nowhere heading towards the lamps, and they just vanished into proverbial thin air ” (extract from short article). 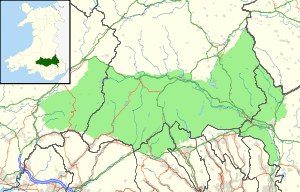 ” He recalled: “I live on the western outskirts of Nethy Bridge and last Tuesday night, at about 9.45pm, I went out into the garden to the car. “Immediately I noticed a brilliant light approaching, quite low from the east as if about to pass over the village. It was shimmering orange in colour with a deeper red glow in it also. “It then stopped, I would guess at only about 300 feet and stayed motionless with no noise just over the edge of Abernethy Forest ” (extract from article). ” She said at 11.10pm on Saturday the police spotter plane, circling the south of the town, was involved in a low-altitude ‘near miss’ with three other craft ” (extract from article). However, the police suggest otherwise. ” He said: “I was with my girlfriend. We saw about 15 to 20 bright lights in the sky. They then started to disappear one by one. We don’t have a clue what they were” ” (extract from article). An 18-year-old has filmed on his mobile phone an odd-shaped oibject floating in the sky above Lancashire ” (extract from article). ” TWO UFO sightings were reported in the Haywards Heath area at the weekend. Witness Alison King said she spotted a circular object at 11.20pm on Sunday between the town and Cuckfield..[. ]…On the previous evening at 10.25pm, Chris Turner reported seeing a disc-shaped object in nearby Lindfield ” (extracts from article). “ Karl Taylor, 15, of Churchill Road said he saw a black object floating above Welton on Saturday night (April 25) at around 9.45pm ” (extract from article). ” Canadian Marty Wilbur, 29, who lives in Hush House, next to The Chronicle office, was on his mobile to a friend back home when he noticed a pulsating orange light rising up in front of him to the east of the city at 9.02pm on Sunday. Quick-thinking Marty filmed the mysterious orange glow as it tracked northwards then disappeared out of sight, possibly behind a cloud ” (extract from article). ” Mysterious white lights have been seen above the Fort William area at around the same time it emerged that glowing orange and yellow lights in the sky were reported around Inverness ” (extract from article).